With much fanfare, California Pizza Kitchen trumpeted the debut of a gluten-free pizza crust option back in June. This week - with barely a whisper - the restaurant chain has pulled it from the menu. As I can attest first hand, CPK undertook a public-relations campaign within the gluten-free community two months ago, contacting bloggers to share news of the product and representing that the product was safe for those on a gluten-free diet. Since then, however, diners began posting their experiences online about varying preparation methods for the pizza, and CPK waited several days before acknowledging - after many inquiries on its Facebook page and Twitter feed - that the prep left open the possibility of cross-contamination. At that time, the company said it was looking to improve its procedures. More than a month went by with no word on developments, and next thing we hear is that the company stopped serving the crust. (Thanks to reader Diane M., who let me know via my Facebook page that the pizza was no longer available at CPK's Cherry Hill location.) On its Twitter feed, CPK now says that it is reviewing its preparation procedures and left open the possibility that gluten-free pizza will return to the menu. While I applaud CPK for ultimately listening to its gluten-free customers, its "leap before you look" approach to the offering is worthy of criticism. The company's marketing of the pizza to the gluten-free community without understanding what it takes to make the product acceptable for those needing to eat gluten free was an epic fail. In the spirit of the upcoming school year, CPK gets an "A" for conception but an "F" for execution. Hopefully, after making like Bart Simpson and writing "I will not serve cross-contaminated gluten-free pizza" on the chalkboard over and over as punishment, the company will reintroduce a safe product. If you missed Tuesday's feature, I wrote about El’s Kitchen, makers of new gluten-free bagel chips and snack mixes. Wildwood’s new seafooder Pacific Grill (4801 Pacific Avenue, 609-523-2333), a sister restaurant of the acclaimed Union Park Dining Room in Cape May, has a dedicated gluten-free menu. According to a story in yesterday's Atlantic City Press, the list includes appetizers and entrees such as watermelon gazpacho with feta cheese, blackened scallops with roasted corn salsa, fingerling potatoes and lime cream, and marinated hanger Steak with Yukon Gold mashed potatoes and haricots verts. The article notes that chef John Schatz reviews the menu items daily with the service staff so they are aware of ingredients and allergens. Also down the shore, the Motorboat Club, located at the Whitebrier in Avalon (260 20th St., 609-967-5225), offers a gluten-free pasta primavera dinner entree served with grilled chicken. Riviera Pizza in Roslyn (1174A Easton Rd., 215-576-6888) serves personal size gluten-free pizza using separate toppings, paddles and cutters. Gluten-free pasta, bread and dessert is available at Nonna’s, an Italian restaurant in West Chester (116 E. Gay St., 610-430-0203). The restaurant recently hosted a gluten-free dinner for the Chester County Gluten Intolerance Group. Homegrown Revolution Cider, which I profiled back in May, is now available at Devil’s Den in South Philadelphia (1148 S. 11th St., 215-339-0855). While retaining the same owners, Center City Indian BYO Bindi will reconceptualize as a Spanish restaurant and wine bar known as Jamonera this fall, reports Philly.com's Michael Klein. The Grainless Baker, a gluten-free bakery in the Poconos that sells locally, will now operate under the name Three Bakers, with new packaging for its products. Gorton’s Seafood's line of grilled fish is now gluten free, with a variety of flavors and species including Grilled Salmon, Grilled Tilapia, All Natural Grilled Fillets made from Alaska Pollock, and Grilled Haddock. Procedures have been implemented at the production location to avoid the risk of cross-contamination, and there is ongoing monitoring and testing to ensure that the products are gluten free. Look for the "gluten free" stamp on the nutrition label. Dollar-off coupons are available for printing at the company's website. Due to the weather, the location of Sunday's Mercer County celiac support group has been changed to Uno Chicago Grill in West Windsor beginning at 1 p.m.
And finally, CBS Philadelphia’s Most Valuable Blogger voting continues through September 9. 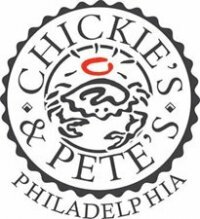 Please support Gluten Free Philly in this endeavor; just bookmark the page accessible through this link and vote daily. Savory snacks come in all shapes and sizes, from corn chips to pretzels to potato chips. What if those favorites joined forces? Then you'd get something like El's Medleys. 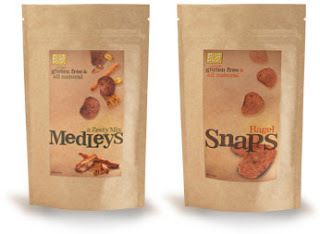 A seasoned mix of potato chips, corn chips, pretzels and corn nuts, Medleys - and bagel chips called Bagel Snaps - are new products from El's Kitchen. Both gluten-free snacks are free of gluten, dairy, nuts, high fructose corn syrup, preservatives, artificial flavors and cholesterol. Eleanor "El" Smith, the owner of El's Kitchen, earned an MBA from the Wharton School of Business in Philadelphia and spent her corporate days working as a planner and consultant before embarking on a new career in the food industry. Now living in Connecticut, El sought out to create gluten-free foods after she learned a friend was diagnosed with celiac disease. Each production run is sampled and tested to confirm gluten levels do not exceed 10 ppm. Snaps are available in 3-oz. and 1-oz. individual bags and Medleys are available in 5-oz. and single-serve 2-oz. bags. At the moment, the closest markets to the Delaware Valley selling the snacks are in western Pennsylvania and New York City, but they are available for purchase online. The Phillies return to the friendly confines of Citizens Bank Park tonight, fresh off a monster 9-1 road trip. If you're planning to attend any home games from here on out, be sure to order Chickie's & Pete's Crabfries (Section 102), as they are prepared in a dedicated fryer. These, of course, are in addition to the other gluten-free concessions available at the South Philadelphia Market stand behind Section 128. Earlier this week, I mentioned a free online seminar scheduled for August 25 that will provide parents of gluten-free students guidance on advocating for their children's needs at school this fall. Amis, in Philadelphia's Wash West neighborhood (412 S. 13th St., 215-732-2647), offers many selections on its gluten-free menu. Chef Brad Spence is a two-time award NFCA "Appetite for Awareness" award winner at this trattoria, which is part of the Marc Vetri family of restaurants (Vetri, Osteria). Thanks to Caitlin C. for the tip. In Wildwood, Groff's Restaurant (Magnolia Avenue & The Boardwalk, 609-522-5474) can accommodate gluten-free requests. Hat tip to Julie F. for the information. Anne H. let me know about Cosmic Catering, which operates a cafe at Lloyd Hall (1 Boathouse Row, 215-978-0900) serving gluten-free muffins at breakfast. The operators are considering adding gluten-free sandwiches and wraps to the menu. Reader Tom P. reports that the Amish bakery at the Columbus Farmers Market (2919 Route 206 S., 609-267-0400) sells gluten-free baked goods such as breads, cakes and cookies, made in a dedicated kitchen. Selection is best on Thursday; the market is open every Thursday through Sunday. Paoli's Redhound Grille (128 Paoli Pike, 484-318-8047) serves Redbridge beer and Woodchuck cider. Pennsauken's Tortilla Press Cantina (7716 Maple Avenue, 856-356-2050) is offering $30 worth of food and non-alcoholic drinks for $15. The offer, through deal site Living Social, is available for purchase through Sunday and can be redeemed through December 15, 2011. The restaurant has a gluten-free menu. As a parent of a child who must eat gluten free, I understand the importance of advocating for our son's health. I encourage readers with gluten-free school-age children to join the National Foundation for Celiac Awareness on Thursday, August 25 (9 p.m. Eastern) as Nina Spitzer, President of the Celiac Disease Foundation's Greater Phoenix Chapter, leads a free, hour-long online webinar about students' gluten-free needs in and out of the classroom. Offer tips and suggestions on how parents can create a safe and healthy gluten-free school environment, including recipes and common challenges in the classroom's social setting, such as lunch and snack time, birthday parties and field trips. The coveted(?) Gluten Free Philly Readers Choice Awards were announced this week, with P.F. Chang's and Outback Steakhouse, The Pop Shop and Main Line Baking Company leading the way with multiple nods. Thanks again to everyone who voted, and be sure to nominate your favorites next year. In Cape May Court House, Molino's (219 S. Main St., 609-465-0200) has gluten-free pizza, pasta and bread, prepared separately. Reader Kristen T. let me know that many of the entrees at the Marshalton Inn and Four Dogs Tavern in West Chester (1300 W. Strasburg Rd., 610-692-4367) can be made gluten free. At the tavern, she enjoyed crab nachos on corn tortillas, cajun tuna, and a side of polenta, along with a Woodchuck cider. Joe's Crab Shack, with a number of gluten-free options, is coming to the former Houlihan's on City Avenue in Bala Cynywd. Wayne's PBandU, featuring gluten-free bread for sandwiches, will open a second location at the Moorestown Mall in October. Owner Mercury Amodio tells me she plans to utilize a separate toaster, utensils and toppings upon request for patrons there as well. 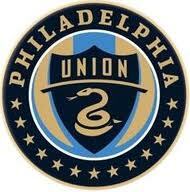 PPL Park in Chester, home of Major League Soccer's Philadelphia Union, has raised the bar for gluten-free fare at local stadiums and arenas. Currently available are hot dogs at Hot Dog Nation (Sections 104 and 125), hamburgers at Black Angus Grill (Sections 101 and 122), pizza at Seasons Pizza (Sections 109 and 127), and Redbridge beer will soon be served at Snake & Shield (Sections 103 and 114). 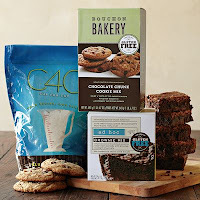 Williams-Sonoma has taken the wraps off its new gluten-free baking mixes and flour, developed by Chef Thomas Keller. 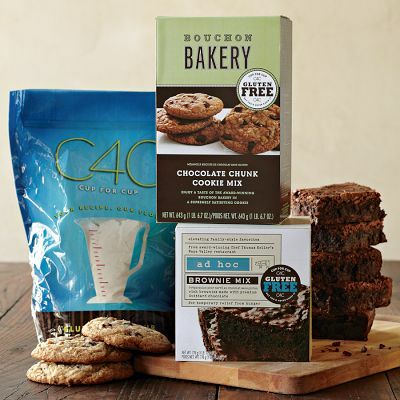 The Bouchon Gluten-Free Chocolate Chunk Cookie Mix ($19.95), Ad Hoc Gluten-Free Brownie Mix ($18.95) and Cup4Cup Gluten-Free Flour ($19.95) are available in stores and online. Those prices - per item - are not typos. There's no gala awards ceremony or statuettes for the winners of the inaugural Gluten Free Philly Readers' Choice Awards (maybe next year). However, the fact that we have so many choices in the Delaware Valley to even consider for these awards is a reason for celebration.